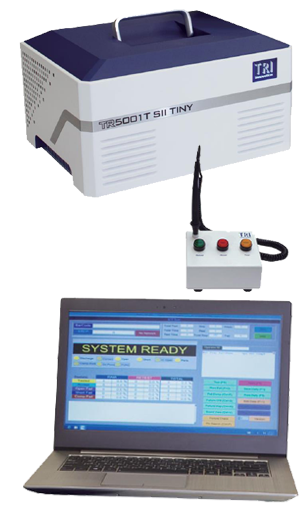 The TR5001T Tiny 2 ICT is a new full feature In-Circuit board tester with a laptop sized footprint that provides a very cost effective alternative to large In-Circuit testers. PXI or GPIB instruments may be added to provide a full functional Test capability. TINY 2 ICT is small enough to mount in your PXI test rack and can be fitted with up to 640 relay switched (six wire) Analogue Test points plus 16 bidirectional Digital pins.